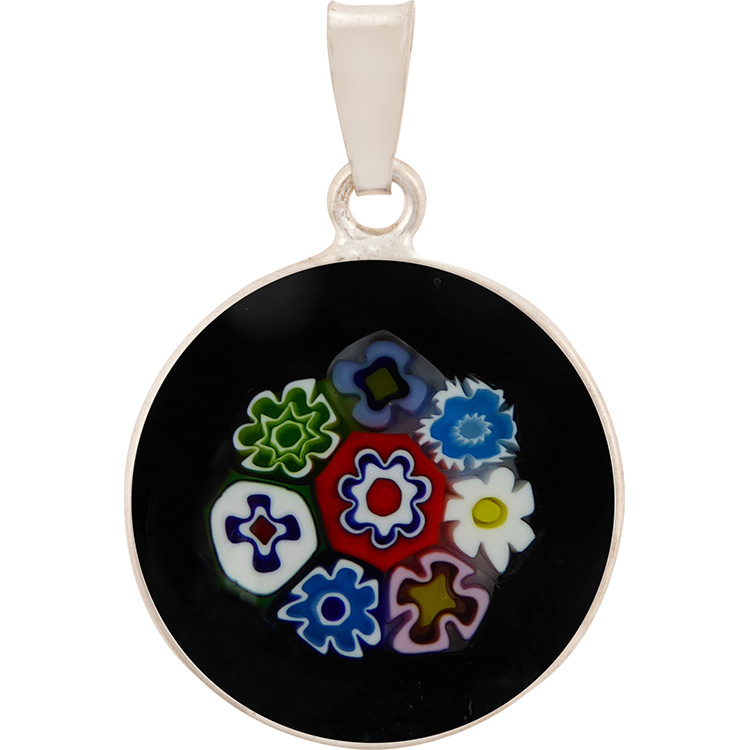 Abstract design of flower Millefiori Pendant in a 23mm diameter. Handmade Moretti glass canes sliced and fused in random patterns. No two ever exactly alike, placement of millefiori flowers and exact colors. These are .925 sterling silver bezels and bails.